As we celebrate our Nation’s Birthday, we want to add a big bang to your celebration with another Christmas in July special for all of our friends, family and loyal followers. If you contact the Divas with a 4th of July greeting, or comment on our blog, or post a 4th of July message on our Facebook page, you will receive a 10% discount on any items you order during the month of July. In order to qualify for the discount, you must post your comment or message before midnight on July 7th, and your comment or message MUST include a statement about what you did on the 4th of July; in other words, share with the Divas how you celebrated the 4th. When you complete this message and we read/approve it, the Divas will send you an email confirming your discount and give you the coupon code to use when making a purchase at our ETSY shop. When you complete your comments, messages, posts, likes, etc., and we read/approve it, the Divas will send you an email confirming your FREE Shipping for all items you purchase during the month of July, and give you the coupon code to use when making purchases at our ETSY shop. From the 3 Funky Divas to each of you . 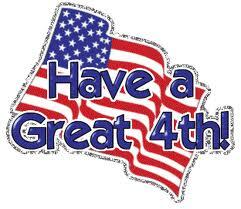 . .
We wish you a safe and fun-filled 4th! 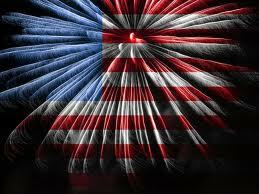 Celebrate Responsibly! If you read our blog yesterday, you know we are going to be doing something really special. Join us in a Sale-A-bration as we kick off the Holiday Shopping season. Our great surprise this month is that we are having a Christmas in July “Sale-A-bration”. During the entire month of July, the 3 Funky Divas will be offering different specials every week and sometimes on a daily basis so it will be really important to check in to see what’s happening EVERY day! Since this first week focuses on our nation’s birthday party with fireworks on the 4th (Wednesday), to start our Sale-A-bration off with a bang, you could get all your purchases in the month of July shipped for FREE! That’s right. . . you heard me. . . The 3 Funky Divas will pay for everyone’s shipping fees for any and ALL items purchased during the month of July! Now. . . how can we do that you ask? Well. . . here are the important details for this offer so pay attention and write it down so you can save some $$$. Enjoy FREE shipping during July! EVERYONE . . . who chooses to follow us and makes a comment (even a LIKE on our FaceBook page or anyone who chooses The 3 Funky Divas as a Favorite Shop on ETSY and lets us know in a comment here on our Website/Blog) between July 1 – 7, will receive free shipping for ALL items purchased during the ENTIRE month of JULY. Pass the word and tell your friends, and watch our ETSY shop as we add all kinds of new items for sale this month. During the entire month we will showcase items, in a Holiday Collection under on our Portfolio Page, that can be special ordered for the holidays. . . Handcrafted, personally designed Gift Tags, Greeting Cards, Special Christmas and Hanukah cards, 2013 Photo Calendars, and holiday jewelry. We will also be offering a special layaway plan for items you want to order to help you start your holiday shopping without “breaking the bank”. So plan now to check in often and contact or CONVO with the Divas to discuss your special needs. We offer FREE consultation on any type of creation or special order so we can give you the best price quote for whatever you need to order. Then, the Divas will work together with you to make this Holiday buying experience the most stress free and enjoyable! Watch for details on the Holiday Layaway plan later this week. 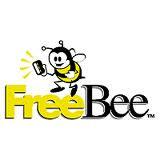 Can’t wait to start giving away all the great FREEBEES to all of you and to read your comments this week. Once we approve your comment, you will receive an email with special instructions to follow and the FREE shipping coupon code you will need to use for your July purchases through our ETSY shop. If your name is not on the “COMMENT-LIKE-FAVORITES” list, then you won’t be able to use the FREE shipping coupon code. Hope you enjoy your July surprises from the Divas this month! ‘Til Manana Darlings . . .